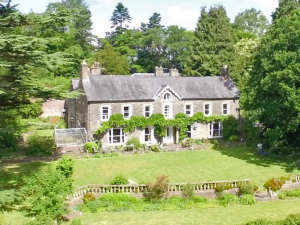 Part-y-Seal is a peaceful and relaxing haven set in the beautiful Monnow Valley. Our rooms are en-suite with a choice of super-king, four poster, twin beds or family rooms – all have magnificent views. Within our 4 acres of mature gardens is a large kitchen garden where all our produce is naturally grown. We try to produce crops for eating all year. Our free range chickens give us delicious eggs and our bees have provided us with natural honey. All food is homemade from breads to preserves. Guests are welcome to take breakfast outside in summer, where you’ll see the vast amount of birds and wildlife around, or by log fires in winter. This truly relaxing break starts with a complimentary cream tea on arrival.